Hi there my lovely readers, and a special welcome to all the new followers I’ve had recently. Remember to follow with Google Friend Connect or Bloglovin’ if you enjoy reading my posts! 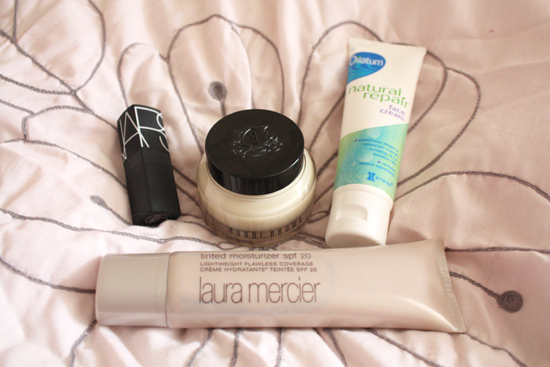 Finally ressurected my Beauty Spotlight feature, which I really enjoy doing. If you’ve missed any previous ones, you can check them out here. Basically, every month or so, I will be doing a few reviews of my favourite products and naming & shaming a few that I’ve hated. Hope you enjoy! All linked to where I bought them from. 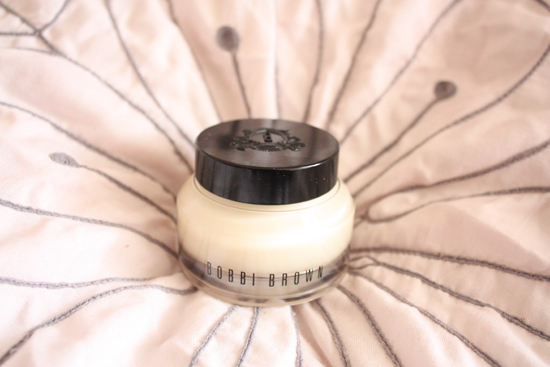 I wasn’t much of a Bobbi Brown fan after my first purchase (which was their moisture rich foundation that just sat on my skin and didn’t sink in/dry at all), but their face base has almost 100% converted me now. Ok, maybe they matched me to the wrong foundation, but their skincare products are really something special. This was used on me before and I remember thinking how amazing it smelt. And boy does this smell amazing! It contains shea butter, carrot & vitamins A, C and E, which obviously contribute to the smell. It can be used as a standalone moisturiser but also as a primer before you apply your make-up and is suitable for all skin types. I have dry/combination skin and it’s perfect, it’s very thick and rich but it doesn’t feel greasy on your face at all. Apparently it also minimizes the appearance of fine lines and wrinkles and protects against environmental damage. It doesn’t, however, contain an SPF. This is the only downside, that and the price. This beaut retails for around £34.50 but I don’t regret buying it! I bought this after hearing so many positive reviews about it and also because I really needed a lighter foundation. The cakey look is not good, especially as the weather hots up a bit. As you can see, I’m also practically translucent, so I needed the colour to be quite pale! I bought this in Porcelain. 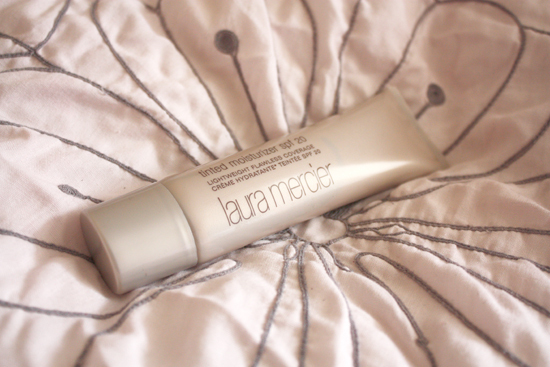 Laura Mercier Tinted Moisturizer has an SPF 20 and promises lightweight flawless coverage. I’m going to start off by saying that you should steer clear of this if you use and really like your high coverage foundations for during the day. This will not provide the coverage you desire; it doesn’t hide all your problem areas in the same way. I have dry, spot-prone skin with some redness, but with a bit of concealer this does gives me a nice sheer coverage for the day. It’s not super matte or dewy, just a happy medium. Great for those who have well-behaved skin but still nice for those with problem areas that want sheerer coverage for the summer months. Again, the downside on this is the price, as it retails for £33. 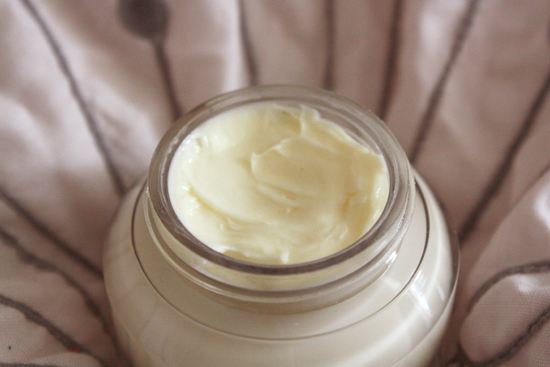 Also comes in an oil-free version for oilier skin or an illuminating version for extra glow. I bought this with my ASOS voucher from Groupon. I’m not really sure why, bit of an impulse buy and I guess I wanted to try something other than my trusty Mac Studio Finish Concealer in NW15. 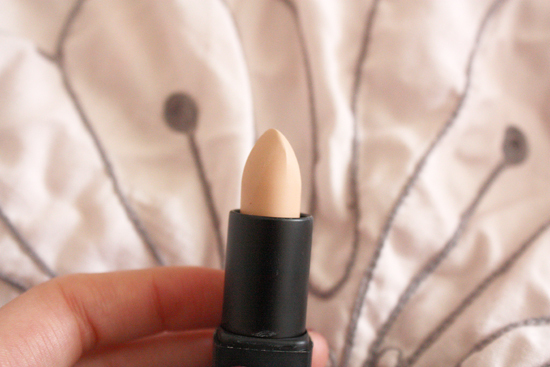 This is in the shade ‘Vanilla’ which is the lightest one. It’s the perfect shade for my skin colour and blends in really well. Another thing I love is the packaging. 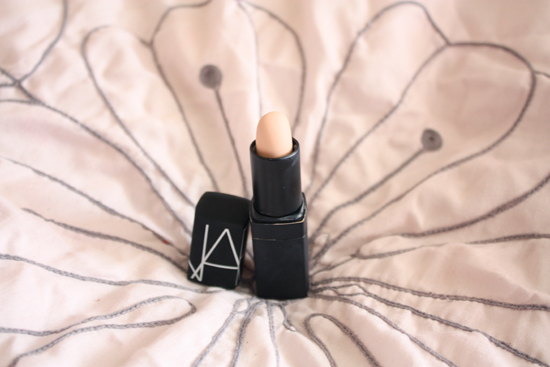 It’s basically like a lipstick, twists up and everything! And it’s a nice matte black, although as you can see it’s a magnet for grubby foundation fingerprints. This is priced at £17.50 and rivals with my Mac concealer for its concealing abilities, but is a tad expensive in comparison. You might have seen Oiltum’s face cream mentioned by the lovely ladies at Pixiwoo, as Nic swears by it. This was the main reason for me buying it; I have dry skin and I wanted something to combat it. A simple enough problem and this is a simple enough solution. It’s for dry/sensitive skin so I would avoid it if you have oily skin (it definitely won’t help with that). According to them it ‘penetrates deeply to rehydrate facial skin relieving tightness and irritation and leaving it feeling smooth’, which I can confirm it does. It just makes my skin feel a lot healthier and nourished. A great product that I will definitely re-buy once I use it all up and a good price at £7.65! No7 Shine Free Makeup Primer – Horrible consistency that doesn’t spread well at all. I ended up with visible flakes on my skin and had to re-wash my face to get it off. Love No7 usually, this product just lets down the others. 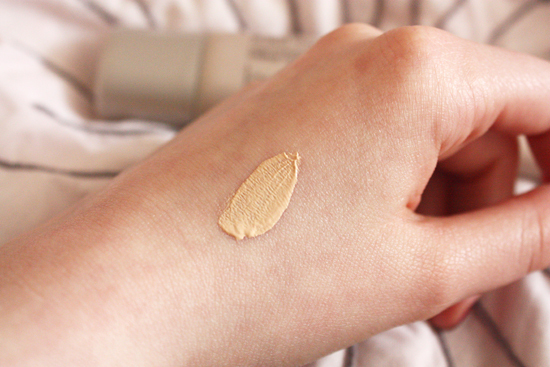 Une Skin Glow Foundation – It just didn’t give good coverage at all. I was expecting a dewy finish but it wasn’t anything special. Much prefer my L’Oreal True Match foundation to this! The only upside was getting a free blush with it.